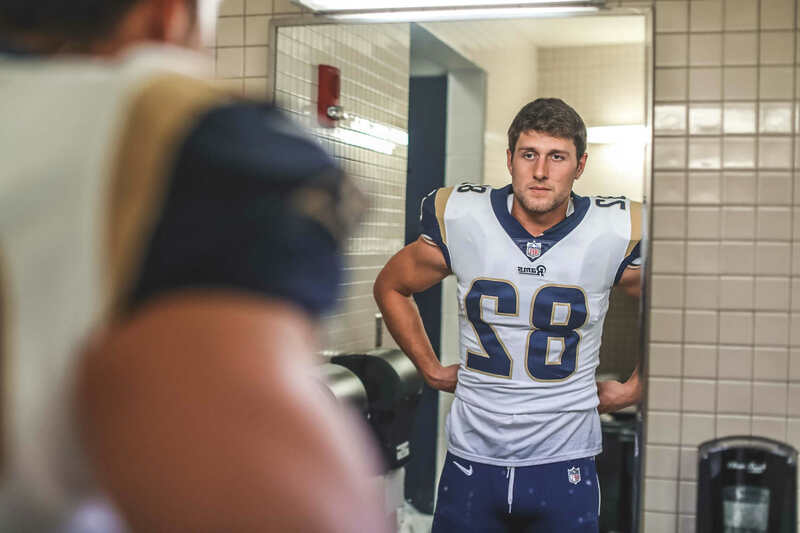 Former Central Catholic star Johnny Mundt, now a tight end with the Los Angeles Rams, will realize a lifelong dream on Sunday, when the Rams take on the New England Patriots in Super Bowl LIII. Johnny Mundt has locked in on Sunday and Super Bowl LIII, the second most important date on his 2019 calendar. The most important date, you ask? That would be June 29, the day he marries high school sweetheart Mariah Navarro. You don’t need roman numerals to elevate the exchange of vows. “Pretty exciting times,” Mundt summarized Thursday night. Each journey is different, of course, and Mundt’s football career has been punctuated by the predictable ups, downs, wins, losses, injuries, rehabs and all emotions in between. Incredibly, it has led him to the Los Angeles Rams, who’ll match up with the New England Patriots on Sunday in Atlanta. 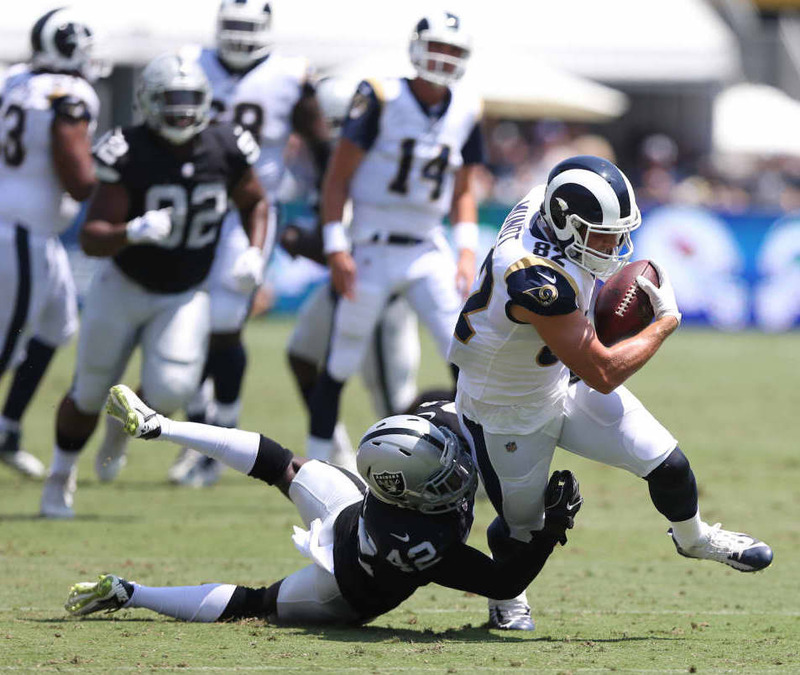 Mundt, the first Central Catholic Raider to tee it up in The Big One, started on his football road in fourth grade with the Hughson Wild Dogs. One might say he’s gotten used to the equipment. Name another player from the area who’s appeared in a state high school final (Central Catholic’s 2012 win over Santa Fe Christian), a Rose Bowl (Oregon’s 2015 win over Wisconsin), an NCAA championship game (the Ducks’ 2015 loss to Ohio State), and, now, the Super Bowl. That list starts and ends with Mundt. 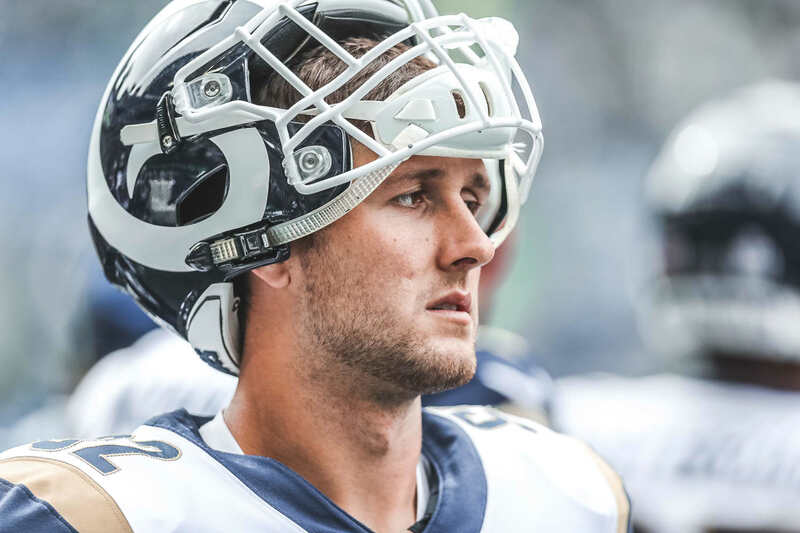 He’s served as a regular on the Rams’ special teams and the No. 3 tight end. For the record, he caught his first NFL pass – a 5-yard gain – during the regular-season finale against San Francisco. His role never was more critical, however, than his work as the “wing” on the field-goal team during Los Angeles’ dramatic overtime win in the NFC title game. The wing protects the edge and makes sure some speedster doesn’t sweep in and smother the kick. Without Mundt’s dependable blocking, Greg Zuerlein’s game-tying 48-yard field with 15 seconds left in regulation and his 57-yard bomb in overtime do not get off the ground. Mundt’s week has been filled with the usual preparation and give-and-take with the huge army of media. He admitted to some shock on Media Day when – while he was seated with a few teammates – he was asked to identify his most worthless teammate. No surprise, given the Super Bowl’s circus-like atmosphere. With kickoff only a few days away, Mundt’s routine has grown more routine. His parents. John and Catherine, arrived Thursday. Central Catholic coach Roger Canepa comes in Friday. There is a touch of serendipity in both Mundt’s personal story and the Rams’ ride to the Super Bowl. The former CC star acknowledged the blown interference call in New Orleans that basically pushed the Rams into Sunday’s game. Mundt has found a safe haven this week in watching game film. He believes the quarterback matchup – the iconic Tom Brady vs. upstart Jared Goff – ushers in a new football era. But once the game begins, it all breaks down to blocking, tackling and which team makes the fewest mistakes. That’s how Mundt, the former undrafted free agent who’s somehow carved himself a place in the NFL, has kept his sanity this week. His upcoming wedding day also provides handy perspective. Ron Agostini was recognized for regional and national awards over his 40-year career in The Modesto Bee. He retired in 2017.